I can't resist the dulcet -- or is that dulce -- tones of this cupcake guitar by Celentano Woodworks. This customized cake-inspired instrument is made by hand out of maple wood -- no CNC machines in this shop. 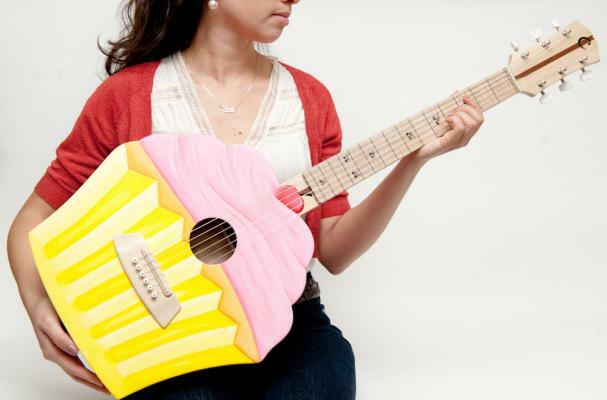 While the cupcake guitar will set you back a hefty $950, it is truly a one-of-a-kind musical instrument that'll turn heads anyplace it's played.